US tanks and hundreds of fighting vehicles were also unloaded in the northern German port of Bremerhaven on Friday, which will be moved into Eastern Europe to help allay concerns from NATO countries for Russia. Workers at Maine’s Bath Iron Works who are worried about the future want to build more ship, but wonder where the billions of dollars will come from. 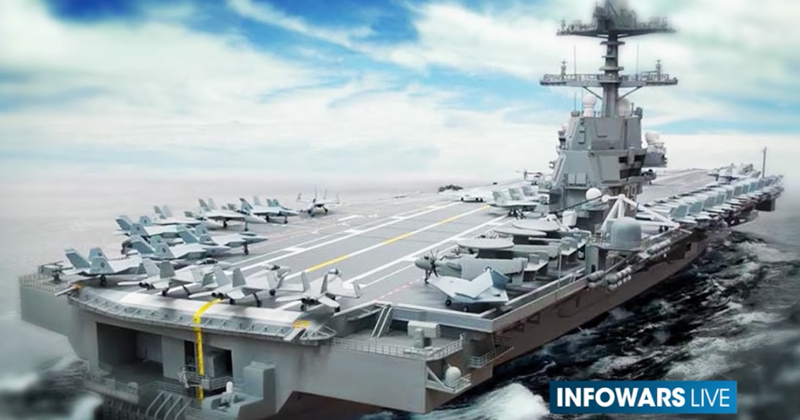 A boost in shipbuilding to meet the 355-ship goal could require an additional $5 billion to $5.5 billion in annual spending in the Navy’s 30-year projection, according to an estimate by naval analyst Ronald O’Rourke at the Congressional Research Service. ‘Whether Congress and the government can actually fund it, is a whole other ball game,’ said Rich Nolan, president of the shipyard’s largest union said.